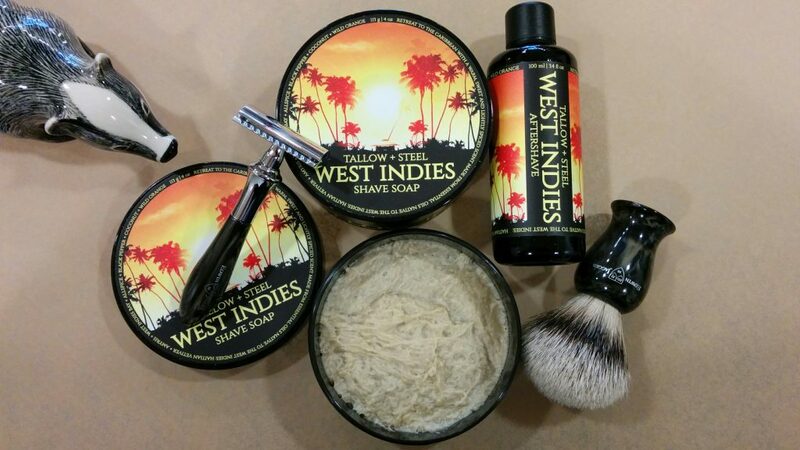 Just in from Tallow + Steel: West Indies shave soap and aftershave splash! The soap lathers like nothing I have ever used before (well, apart from other Tallow + Steel soaps) and the aftershave splash calms and moisturizes without “the burn”. The scent? Heavenly! There is some Bay Rum going on here along with coconut, citrus, and bit of spice. A very tropical feel just in time for the cool, wet weather ahead. The soap (113g) goes for $33 and the aftershave splash (100ml) is just $27 OR buy both together for just $54 (that’s a 10% savings folks)!